Quick overview The Greek myths have a universal appeal, reaching far beyond the time and physical place in which they were created. In this book, the reader is taken on a tour of 22 destinations in Greece and Turkey, from Mount Olympus to Homer's Hades, recounting the tales from Greek mythology and the history associated with each. The Greek myths have a universal appeal, reaching far beyond the time and physical place in which they were created. But many are firmly rooted in specific settings: Thebes dominates the tragedy of Oedipus; Mycenae broods over the fates of Agamemnon and Electra; Knossos boasts the scene of Theseus' slaying of the Minotaur; Tiryns was where Heracles set out from on each of his twelve labours. Here, the reader is taken on a tour of 22 destinations in Greece and Turkey, from Mount Olympus to Homer's Hades, recounting the tales from Greek mythology and the history associated with each, evoking their atmosphere and highlighting features that visitors can still see today. 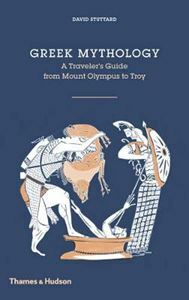 Drawing on a wide range of Classical sources, with quotations newly translated by the author and freshly illustrated with specially commissioned drawings, this book is both a useful visitor's guide to famous sites connected with Greek mythology and an enthralling imaginative journey for the armchair traveller.